Sherree is renowned for her paintings of sporting events, none less so than for her depiction of the greatest (and the most exciting!) moment in English rugby history. Entitled Deliverance, it shows the kick that won the 2003 Rugby World Cup and brought the William Webb Ellis trophy home to England. 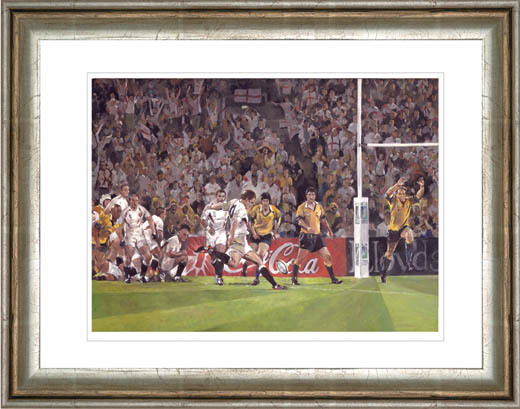 Jonny Wilkinson liked the painting so much that he decided to endorse a Limited Edition fine art print of 500 copies. 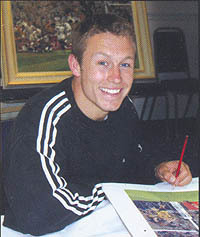 The prints are official Jonny Wilkinson merchandise and he has countersigned them alongside the artist's signature. A number of these very collectable prints became available for sale at Park Lane Fine Arts in May 2004. This is just one of many moments in sporting history that Sherree has depicted. For details of her other work, please contact the gallery.